The Porsche 911 is a car that deserves that overworked descriptor “icon.” Along with the E-Type Jaguar, it has an instantly recognizable shape that has survived the years. The thing about the 911 is that it is still in production, and thanks to subtle engineering and cosmetic changes, it still retains its position at the head of the sports car field. 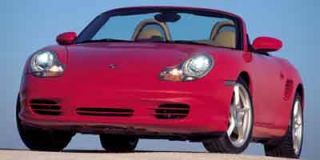 The latest iteration, for the 2002 model year, is now appearing in Porsche dealerships in the U.S. 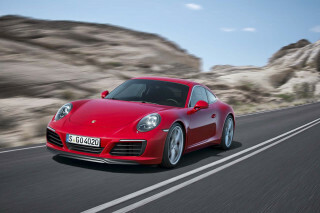 The Carrera and the all-wheel-drive Carrera 4 are the base upon which the 911 range is grounded. For those that want more, the first step up is the Carrera 4S, which I recently drove around Lake Garda in Northern Italy. 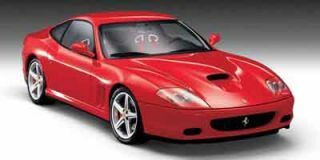 The base 2002 Carreras – you can’t really call a Porsche “base,” but you know what I mean – has minor cosmetic changes that make them a little smoother looking and also help their aerodynamics. But Porsche isn’t about model-year styling makeovers. 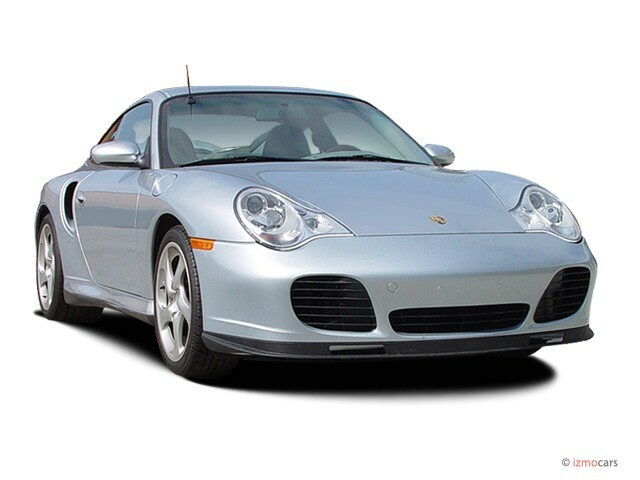 Porsche is about engineering, and the big change for 2002 is an engine that is extended from 3.2 liters to 3.4, which gives it 320 horsepower and 273 lb-ft of torque. The major technical change is the adoption of Porsche’s Variocam Plus variable valve timing-system, which achieves the ideal combination of increasing power while at the same time decreasing fuel consumption – it’s a good trick if you can do it, and Porsche has. Naturally the new engine is to be found in the 4S, but the higher-specification car doesn’t get a power increase – with 320 horses on tap, it’s not really needed. What the 4S does get is a dose of steroids from the legendary Porsche Turbo. Ever since the very first Turbo, the top car of the 911 range has shown its power in a wide rear end born of wide tires and power to spare. The 4S, as we’ve said, doesn’t have more power, but it has got a body that has been to the same gym as its big brother. Deep air intakes at the front speak of racetrack heritage, but the aspect of the 4S that pleases most is the rear. Borrowing from the Turbo style manual, the 4S is almost two and a half inches wider than the standard car across its powerful haunches. It doesn’t sound much, but it’s enough to be noticed. Put it this way, no car buff is not going to notice that he has been passed by a 4S! The wider engine cover has a different rear lamp treatment that underlines the difference between the 4S and its brothers. In typical Porsche fashion, the cover is now made out of glass-fiber reinforced plastic. You can’t see that it’s made of a new material, but it’s lighter and it came out of racing experience – and that’s enough for the engineers from Stuttgart to use it. As the designation implies, the 4S has all four wheels driven, using the well-proven system that has been available on the 911 since 1988. The power that goes to the front wheels is a constant five percent, but up to 40 percent of the drive can head forward when the car’s electronic brain feels it is necessary. More electronics are present in the Porsche Stability Management system, which links engine, gearbox and brakes to prevent drivers making fools of themselves. 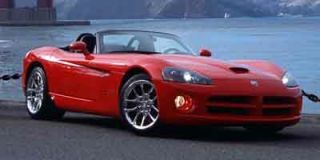 Feeding the power to the wheels is six-speed manual gearbox or a five-speed version of Porsche’s well-known Tiptronic box, which combines the easy driving of an automatic with full manual control when the driver, rather than the electronics, feels like it. The 4S borrows from the Turbo in its styling, and also takes the entire braking system from the more powerful car. The one thing it doesn’t share is the turbocharger, which means that it can dispense with the side air intakes that feed the intercoolers. The result is that the body of the 4S is more aerodynamic than that of the Turbo. But there’s a niggling doubt that maybe, with Turbo style without Turbo muscle, this car might be more show than go. Settle behind the wheel, however, and you will soon see that nothing could be further from the truth. Sitting in an interior that has enough fine leather to ensure that the Porsche is well into luxury car territory so far as comfort is concerned, the first thing you notice is the clever way the traditional circular dials of the instrument panel are all easily visible through the top arc of the wheel. The rev-counter is front and center, to keep the traditionalists happy, while the speedo is off to the left. It’s small, but it has an easily visible digital read-out of actual speed in the lower half of the traditional analog dial – the needle provides an idea of your speed, while the digits confirm it exactly. The figures that come up on that digital display are truly amazing. 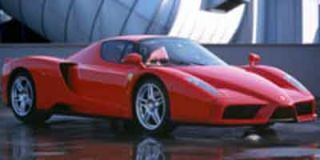 Try a maximum acceleration start on full power and they will go from zero to 60 mph in five seconds – and the electronics and the four-wheel drive will ensure that the car isn’t scrabbling for grip, even on a less than perfect surface. On the road, the Porsche is a joy. It grabs hold through bends, with the torque coming in a seamless gush to keep the car feeling smooth and safe. Braking, thanks to the system inherited from the Turbo, is effortless and effective. Out on the open freeway, it is easy to see this is a car developed in Germany, where many of the autobahns still have no speed limits. 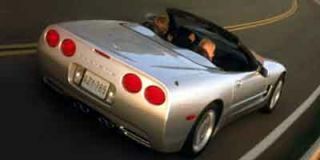 The top speed is a claimed 174 mph, and 150 is a perfectly acceptable cruising speed – for the driver, if not for the police. At such speeds the car makes a noise that reminds the driver and passenger (it’s a nominal 2+2, but you wouldn’t like to travel in the back) that this is a performance car. Drop down to a more realistic pace, however, and conversation in normal tones is perfectly possible. The 4S isn’t one of those old-fashioned ‘enthusiast’ cars, in which the driver has to keep changing gear to stay in an acceptable range of engine revs. 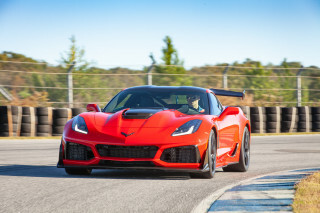 Thanks to the Variocam Plus, the engine is perfectly happy to dawdle along in high gear and will pull away without fluffing from speeds that other sports cars would require the driver to drop a couple of gears to accelerate smoothly. The 4S is a driver’s car for today – when the occasion is offered, it can be driven hard and fast, but when the traffic closes in, or the speed limits close you down, it’s still a pleasure. It has been said that one of the great sights in motoring is to look down the hood of a Rolls-Royce and see the rear view of the Flying Lady, clearing your path. Take it from me, it’s only equalled by the view in the rear-view mirrors of the 4S, as you admire the swell of those Turbo haunches – that are haunchier than any other car I know – and the view of other traffic disappearing behind you.